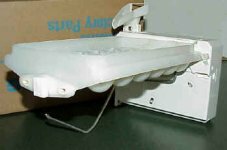 Appliantology Archive: What Type of Icemaker Do I Have? What Type of Icemaker Do I Have? This first one is a real common one: the old-style Whirlpool icemaker. This one is easily identifiable by pulling off the front cover and seeing the white plastic gear. Notice also that the wiring diagram for this icemaker is glued to the inside front cover. I know it's a small picture but you'll see what I'm talking about if you look real close. This one is the evolution of the old-style (some of us in the trade would call it a de-evolution, but don't get me started) sometimes called the Whirlpool modular icemaker. It's the same size and look as the old-style and main difference being seen when you pull the cover and see a bunch of holes instead of a could of gears. Notice the test points labeled on the icemaker module face. They're also stamped on your module. They're not painted, so they are hard to see, but they are there. Note especially the points labeled T and H. If you jumper these two test points together, the icemaker will initial a harvest cycle. More about that in another Appliantology article. Here is yet another Whirlpool icemaker. This one is called the Flex Tray. The name is pretty descriptive 'cause that's how it dumps ice--it flexes the white plastic tray to release the ice. The funky thing about this icemaker is that it also houses the defrost timer for the entire fridge. So, if the icemaker starts leaking and making a mess, you can't just pull the icemaker and think the problem is solved. Nawsir, 'cause ifn you do that, your fridge wouldn't run! Go figger. This is the gawd-awful GE round-cube icemaker. This abomination from hell is famous for leaking water into your fridge and making a mess. 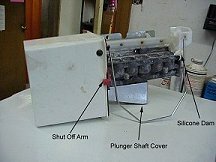 GE offers an ejector repair kit but, after a while, even they got sick of messin' with it and went to the Whirlpool-style icemaker. But, you'll still see 'em in older GE and Hotpoint fridges. 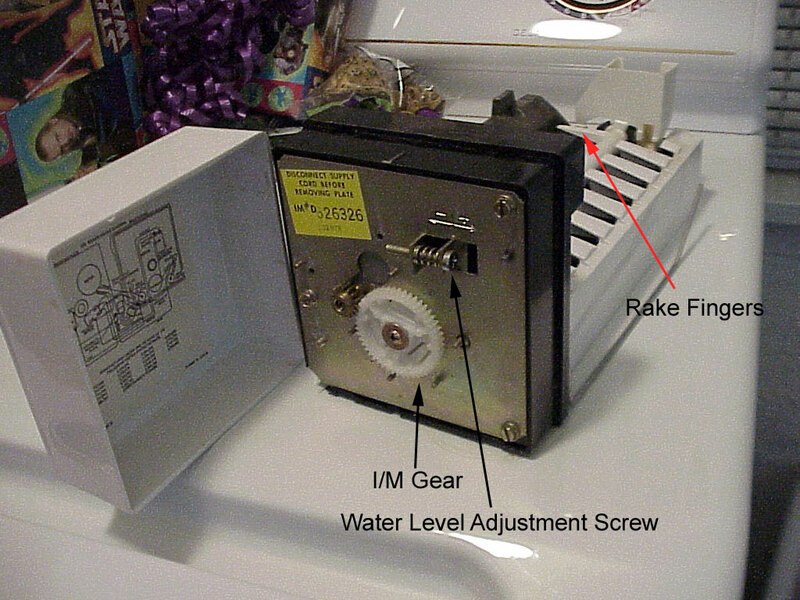 This last one is the Dole icemaker, most commonly found in the Maytag family of fridges (Maytag, Magic Chef, Admiral, Jenn-Air). This is the newest icemaker from GE. It's called the IM6. It's a revised version of its older brother, the IM4. You can learn more about this icemaker here. 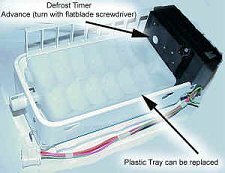 Awwite now, you gotsa problem with your icemaker and you post a question about it at the Do-It-Yourself Appliance Repair Forum and you be sure to tell what type of icemaker you got, 'cause ifn you don't, I'm gonna direct you to this hyere article. Still confoosed, Grasshoppah? Check out all the ice maker FAQs. To learn more about your icemaker, or to order parts, click here.